As of July 2018 more money has been spent on gaming than any other kind of entertainment on the planet. In fact, mobile games will account for a whopping 72% of total global app revenues, or $58.1 billion, by 2020. 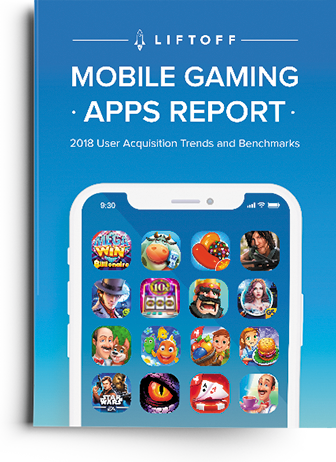 Download the 2018 Mobile Gaming Apps Report for the latest industry user acquisition trends & benchmarks, including costs, conversion rates, demographics and seasonal trends. Want to learn more about marketing gaming apps? Watch our on-demand webinar where we cover the biggest insights from the report. Joined by seasoned gaming app marketers, we analyze the data as well as offer strategies for acquiring more engaged mobile gamers.